Earlier this month, Instagram announced a new feature that will allow users to post a single image across multiple accounts. This change is targeted at business owners and influencers who often hold multiple accounts and may want an easy way to handle all these different accounts. This “regram” feature is just the latest among a number of tools that have been aimed at making Instagram marketing lucrative for small businesses. Let us take a look at some of these features and how to extract better mileage out of them as a small business owner. Stories is one of the most popular features on Instagram and is today used by more than 400 million users every single day. From a business’ perspective, Stories offer a great platform to engage and communicate with your followers and prospective buyers. Here are a few profitable ways to use Stories for your business. Use Polls to gather quick feedback from your followers on new marketing campaigns. This could include ads you are launching, pricing changes and even feature additions. Stickers are quite versatile and helpful in a number of different scenarios. Emoji sliders, location stickers, countdown stickers, and mention stickers can all be used in various circumstances to market a campaign, capture the mood of your followers, or engage with specific users or followers. Offer sneak peeks into new features or products. This helps pique the curiosity of your followers and also plays a part in generating virality. Partner with influencers to do account takeovers. This strategy can be incredibly popular depending on the influencers you tie up with. Although hashtags have existed much before Instagram became a mainstream social media tool, they have found new purpose here. Instagram introduced the ability for users to follow hashtags sometime back and this has made it incredibly easy for users to explore content on topics that they are interested in. For example, a user interested in pastries might follow #pastries to get a steady feed of new submissions on this topic. Business users can make use of hashtags to not only target a niche customer base, but also help expand their reach to new and targeted stream of followers. A pastry maker from a small suburb of Chicago could tag each of their Instagram submissions with a hashtag of their suburb. This hashtag is likely to reach a lot of prospective customers from the neighborhood and is thus very highly effective in marketing your business. There are a number of different strategies to find the best hashtags for your submissions. Competition research is definitely a good starting point. You may also create branded hashtags. In any case, make it a point to thoroughly measure the effectiveness of your campaign strategy by looking at what works and what doesn’t. Social media networks have existed for over two decades now. One recurring pattern that marketers have observed during this time is that there is a cycle that each of the platforms go though. MySpace gave way to Facebook which is slowly giving way now to Instagram and Snapchat. There is no guarantee that what channels exist today might continue to deliver results five years down the line. It is for this reason that a business should always focus on an omni-channel strategy. Growing your Instagram channel alone is not enough. It is important to synchronize this strategy with your other existing and emerging platforms. 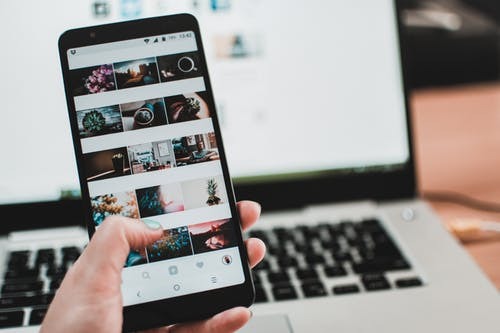 There are a number of third party tools that make it easy for marketers to easily integrate their Instagram strategy with the rest of their social media campaigns. You may check out the various tools available in the market and pick one with the best reviews. * Measure follower growth rate, chart post performance against metrics like frequency of posting, time of posting, etc. Some of these metrics may be done manually. However, it is a good idea to invest in a good third party analytics tool that can help you measure campaign performance and benchmark it against competitor performance as well as how your brand does on other social media platforms. Now over to you. Does your business have an Instagram marketing strategy? What are some tricks that have helped you maximize your returns from your campaigns? Share your ideas in the comments below.